Each week we feature an app that has caught the attention of the Crozdesk community. We look for exciting features that make our lives easier, apps that take a radical approach to existing problems or a service that has everyone talking about it. In other words, apps that we think you should know about. This week’s featured app is Tapfiliate – an excellent app which allows you to Create, Track and Optimise your Affiliate Marketing programs. Affiliate marketing is a performance-based marketing practice in which a business rewards one or more affiliates for each customer brought to that business through the affiliate’s own marketing effort.Tapfiliate enables businesses to set up, recruit for, promote and grow their affiliate marketing programs from one central location.Tapfiliate also offers up-to-date data on sales and commissions, ensuring businesses have accurate financial information relating to the performance of their affiliate marketing program. Having logged in for either a 14-day free trial (credit card or PayPal details are necessary here) or one of the paid plans, you are given the option to select the platform on which to install Tapfiliate from a large range of options. As an example, The WordPress option takes the user to a link to the WordPress plugin which, once installed and linked to your Tapfiliate account ID, automatically lets Tapfiliate know when a conversion to your site occurs. Alternative options are given if your platform isn’t listed on the site, allowing you to include Landing Page Codes and Basic Conversion Page Codes on your site in order to ensure that the Tapfiliate platform is notified when a conversion takes place. The next step in setting up your Tapfiliate account is to choose your Tapfiliate Domain. This is the place where your affiliates can sign up and log in. The affiliate program forms the focus of your interaction with the Tapfiliate site; users are required to set up a program when logging in for the first time. Users can choose to complete the entire program set-up in one sitting or come back later and edit the program once it is up and running. At this stage you will be asked to provide a title for your affiliate program and assign a Default Landing Page URL, this is the main page you want your affiliates to refer traffic to and in most cases will be your organisation’s home page. It is also necessary to specify commission details at this stage; this involves setting up the rate, whether a fixed amount or a percentage; currency and recurrence of commission for your program. Advanced commission settings can be adjusted after the initial setup stage. 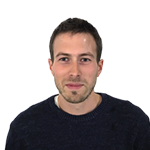 The recurrence of commission can also be set at this stage allowing you to choose whether an affiliate is awarded a one-off commission or whether they are rewarded on a weekly, monthly or yearly basis. This setting is useful, for example, in the case of subscription services who wish to keep awarding their affiliates during the entire lifetime of the customer referred. A payout method is also mandatory here, options include Paypal, Bank, Check, Bitcoin, Skrill, Webmoney and Discount. Having created your program, the site automatically directs you to the Program Page. This is the hub of Tapfiliate and the point from which users can centrally manage their Program. 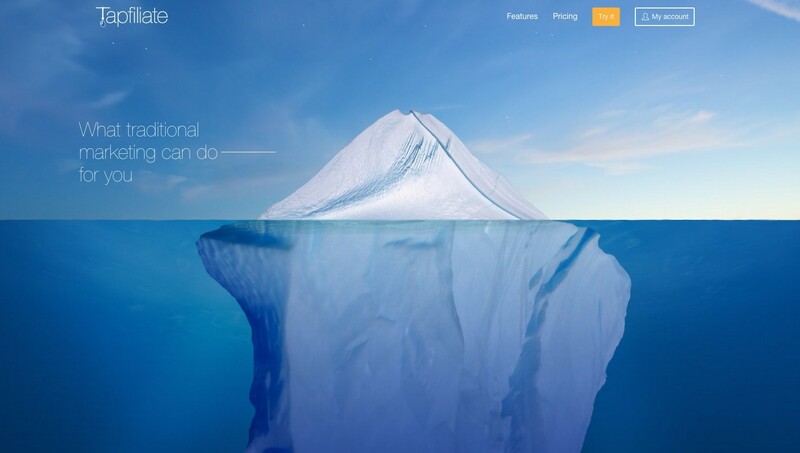 The page features a toolbar at the top containing a number of tabs. The General tab offers a program overview and allows users to recruit affiliates, add promotional materials, approve commissions and more. It is a gateway to everything that has to do with your affiliate program. The site includes a sharable link which you can use to recruit affiliates. 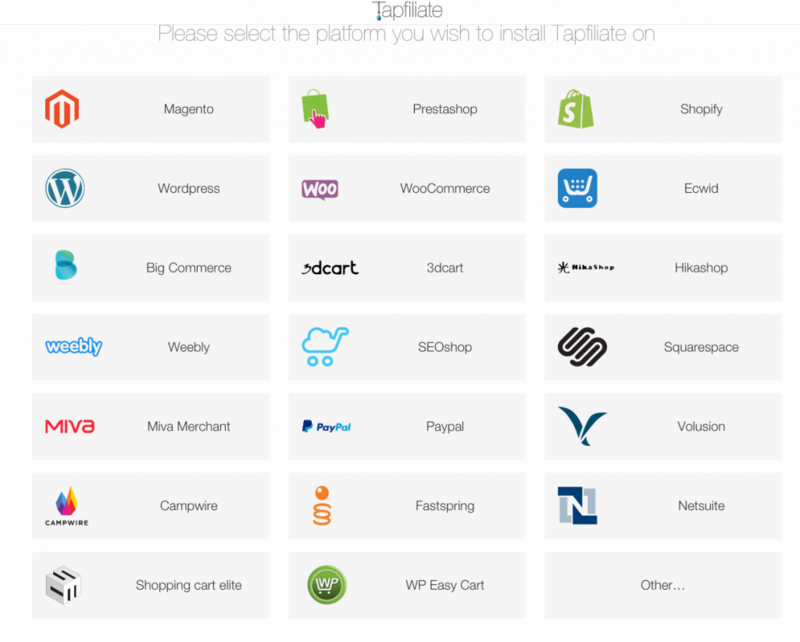 Use this link to invite as many affiliates as you want, Tapfiliate offers suggestions which include putting the link on social media, website and email signature. The Assets tab allows you to add marketing materials and text links which your affiliates can use to promote your program. Affiliates will be able to retrieve a unique integration code snippet for each individual asset, these codes are tagged to automatically determine which affiliate generated which commission through which asset. The Affiliates tab gives an overview of all pending and approved affiliates for this program, affiliates need to be approved by you before they can start promoting your programs. Users receive an email notification when a new affiliate signs up for one of your programs. The Conversions & Commissions tab provides an overview of the commission types for your program. An optional advanced feature allows users to differentiate between different commission types for different types of conversions, for example a signup for your newsletter might be allocated a fixed commission amount of $1 whereas a web purchase might pay an affiliate 10% of the total order amount. Usage of this optional advanced feature is optional. Additional tabs include the Recurrers section which records any recurring commissions generated and allows users to stop any such commissions and the Program Settings page which includes the option to delete programs and change the commission structure as well as moderate affiliate sign up and adjust group settings. The Tapfiliate toolbar runs down the left-hand side of the site and offers users overview and reporting functionalities. The Dashboard offers a bird’s eye view of affiliate program performance and a clear picture of important metrics like views, clicks and conversions while the Reporting page offers an overview of any affiliate reports generated. It is advisable for users to keep an eye on the Payouts page, as this relates to any approved commissions and shows the sum of all unpaid, approved commissions for each affiliate. You can also download an overview file containing the total amount you need to pay to each affiliate and their payment details. The General Settings allows users to create a fully branded experience for your affiliates by uploading your logo and setting up a custom domain. A variety of price plans are available: The Value plan is $49 per month and features 1,000,000 tracking events, comes with the basic features and includes Custom White Label Branding. The Pro plan offers 2,000,000 tracking events at $79 per month and comes with the same features as the Value Plan but also includes Multiple Domain Tracking and the option to use your own domain. At $119 per month, the Volume plan is the premium option, offering all the features of the Pro plan and also allows up to 7,500,000 tracking events for high-volume users. Aesthetics – the site is clearly and attractively designed with toolbars and option menus intuitively laid out. Help function – A particularly useful feature, almost every page on Tapfiliate features a help button. When clicked, this displays a top-level explanation of the purpose and capabilities of that area of the site. Tapfiliate offers businesses a one-stop hub for efficient affiliate marketing. Visit the Tapfiliate provider page and find out more!